Here’s your first group of free and discounted Kindle book offers in a variety of genres as we get ready to start the weekend: for those books listed as being free or discounted in this post – while the pricing of the free and discounted status is valid at the time of this posting, please make sure you check the pricing carefully before you press the “buy” button as it could revert back to its normal status at any time! 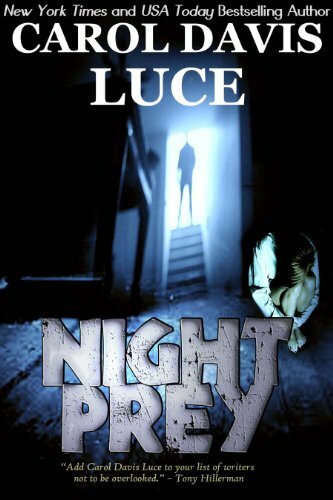 Night Prey, by Carol Davis Luce, is regularly $4.99 but has been discounted to just 99 cents today in the Amazon Kindle store. This book has received an average user rating of 4.3 out of 5 stars based on 103 customer reviews. Roberta Paxton had a pleasant, challenging job, a man who loved her, and a host of good friends, but anxiety gnawed at her, at the back of her mind, at the edge of her vision, something was threatening her. . . something or someone. She tried to talk about it, but nobody wanted to listen, not even her thirteen-year-old sister, Tobie. Roberta had had these premonitions before, Tobie reminded her. She was just being paranoid. But there was someone watching. Deep in the Tahoe forest, emerging only to stalk his prey, to watch and listen, to plot his final move, a vicious killer waited. Each glimpse of Roberta fired his need, but still he waited. Until he saw Tobie. . .
Click here or type in http://smarturl.it/nightprey into your web browser to pick up your copy of Night Prey. 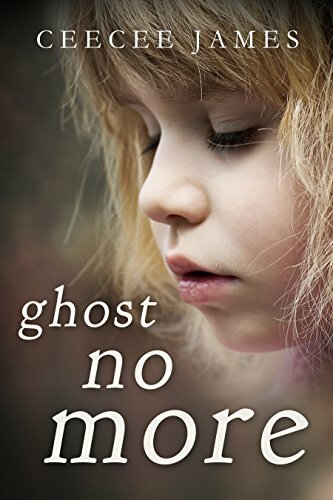 Ghost No More, by CeeCee James, is regularly $2.99 but has been discounted to just 99 cents today in the Amazon Kindle store. This book has received an average user rating of 4.8 out of 5 stars based on 64 customer reviews. Her Mom looked like a beauty queen and fooled the world. But behind closed doors life was different. All her daughter, CeeCee, wanted was just a touch of approval and love from her mother. That’s all. What she gets is neglect, homelessness, dirty secrets, and abuse. Yet, there must be a way out of the hopelessness and fear that would surely lead to her ultimate destruction – there had to be. If she can only find the key…. the key that will open the door to love, trust, and the healing of broken places. Click here or type in http://smarturl.it/valzml into your web browser to pick up your copy of Ghost No More. 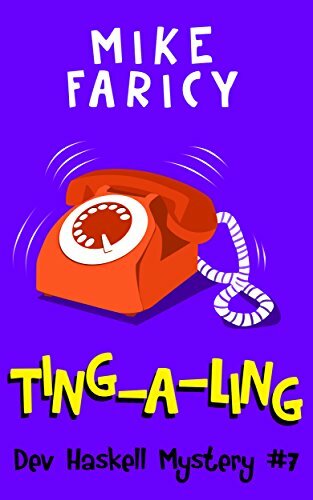 Ting-A-Ling, by Mike Faricy, is regularly $2.99 but has been discounted to just 99 cents today in the Amazon Kindle store. This book has received an average user rating of 4.9 out of 5 stars based on 17 customer reviews. Ting-A-Ling is the Seventh mystery in the highly entertaining Dev Haskell Private Investigator mystery series. In Hitchcockian fashion, the telephone rings at two in the morning. PI Dev Haskell answers, half-asleep, to a giggling woman named Danielle. It seems she’s found his phone number on a bathroom stall. She’s called Dev “for a good time,” but what she really wants is for him to deliver a simple message to her former business partner. It’s all fun and games (not to mention funny) til someone goes missing. Next thing he knows, our fair but bumbling hero can’t find his client or her business partner, which turns out to be the least of his problems when he finds himself on the hook for murder, and suddenly haunted by a multitude of childhood secrets. In a bizarre but compelling mixture of suspense, family drama, and offbeat comedy, Dev once again messily balances both sides of the law in a wacky adventure that will keep you on your toes while laughing out loud. Click here or type in http://smarturl.it/626td1 into your web browser to pick up your copy of Ting-A-Ling. 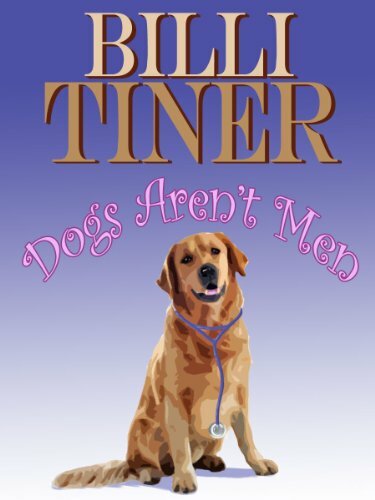 Dogs Aren’t Men, by Billi Tiner, is regularly $2.99 but has been discounted to just $1.99 today in the Amazon Kindle store, and this book has received an average user rating of 4.5 out of 5 stars based on 419 customer reviews. Rebecca Miller is a gifted veterinarian with an extraordinary understanding of animal behavior. She is leading a fulfilling life as the owner and operator of the Animal Friends Veterinary Clinic. Ever since her 30th birthday, her mother has made it her mission to help Rebecca find a man, get married, and give her grandchildren. But Rebecca doesn’t see the need for a man in her life. She has her dog, Captain, and that’s all the companionship she needs. However, her world changes the day she literally runs into Derrick Peterson, a gorgeously handsome ER doctor. Derrick’s experiences with women have taught him that they are vain, silly, and untrustworthy. He keeps his relationships with them brief and superficial. However, he finds himself being irresistibly drawn to Rebecca. She’s smart, witty, compassionate, and very different from the women he usually encounters. Will Rebecca be the one to break down the wall he’s spent a lifetime building around his heart? Click here or type in http://smarturl.it/1175 into your web browser to pick up your copy of Dogs Aren’t Men. 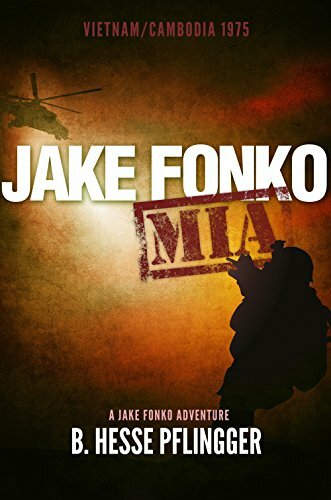 Jake Fonko M.I.A., by B. Hesse Pflingger, is free today in the Amazon Kindle store, and this book has received an average user rating of 4.4 out of 5 stars based 18 customer reviews. Meet Jake Fonko, America’s coolest covert agent. An ex-surfer and decorated Ranger working in Army Intelligence, Jake Fonko is dispatched to Saigon during the final days of the Vietnam War, temporarily on loan to the CIA. Jake figures that he’ll ride a desk, relax in Saigon and collect a paycheck – but the CIA has other plans. The agency mysteriously ships him off to Cambodia on a top-secret mission to make contact with an agency asset who’s been out of the loop for two years. The trail has gone cold, and Jake begins to wonder why the CIA chose him, a soldier with little espionage expertise. But before he can find the answer, the Khmer Rouge take over Cambodia and Jake quickly finds himself fighting for his life in unfriendly territory. With no allies, no backup and no hope of evacuation, Jake must rely on his ingenuity and wits if he hopes to keep breathing. Will he find out why the CIA sent him on this mission? Can he survive the killing fields long enough to track down the target? And will he make it out of chaotic and corrupt Cambodia alive to tell his tale? Blending a dash of Flashman’s history, a helping of Travis McGee’s lifestyle and a hint of James Bond’s suave cool, Jake Fonko M.I.A. is an adventure you won’t believe, except…what if it’s all true? Click here to pick up your copy of Jake Fonko M.I.A..
Want to have this blog sent wirelessly to your e-Ink Kindle vs. reading it on your computer? Try out the free two-week trial subscription! Click here for the Amazon page of the Free Kindle Books and Tips blog or type in http://smarturl.it/fkblog into your web browser. Are you receiving the blog’s posts by email? You can if you click here or type in http://www.fkbooksandtips.com/subscribe into your web browser – just fill in your email address, smack the “Subscribe” button, and make sure you reply to the confirmation email!